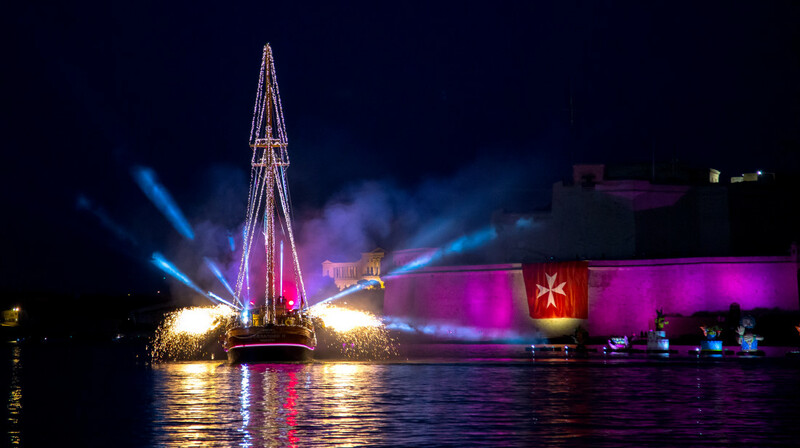 The Valletta Pageant of the Seas was held earlier this week on the 7th June as part of Valletta’s 450th anniversary celebrations organised by the Valletta 2018 Foundation. Around 30,000 people turned up at the Grand Harbour to enjoy the festivities, which included a regatta, l-Għawma Toni Bajada – which saw swimmers swim across the Grand Harbour from Fort St Angelo towards Valletta, as well as Tellieqa Telliqun, a race where teams raced boats they made from recycled materials. The spectacle culminated in a naval display with yachts carrying flags of different EU states, an acrobat, light and pyrotechnic show aboard the Fernandes which illuminated the Grand Harbour at night, followed by the colourful grand finale in which fireworks were let off from barges and carnival floats. The Valletta 2018 Foundation would like to thank the Port Authorities, Armed Forces of Malta, Yachting Malta, the Malta Police Force, Malta Tourism Authority, the Public Broadcasting Services, all 200 artists that participated, and the general public for their attendance and appreciation towards this national event.